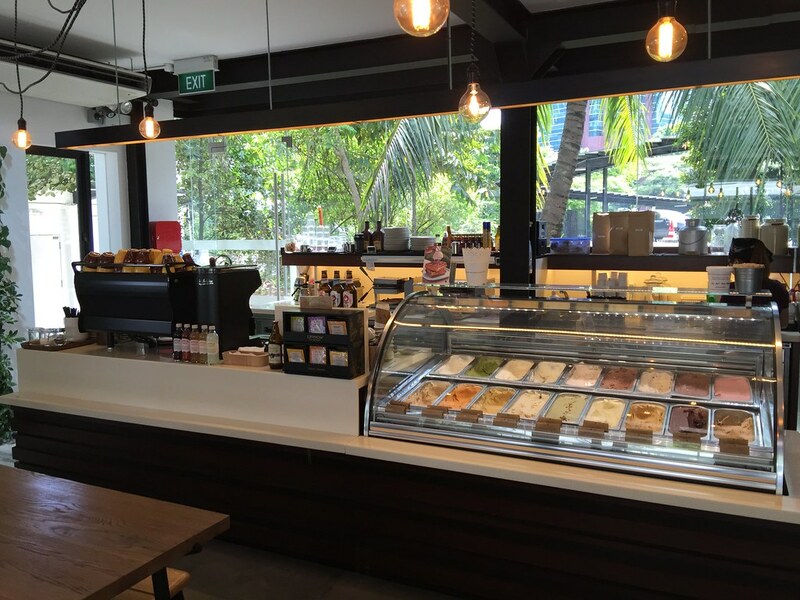 If you have not known, the popular Creamier at Toa Payph has opened a second outlet at Gillman Barracks. The new outlet is more spacious and has a bigger floor area compared to their flagship outlet. It has both air conditioned and alfresco sitting area. It was a rather hot and humid afternoon when we visited the new outlet. 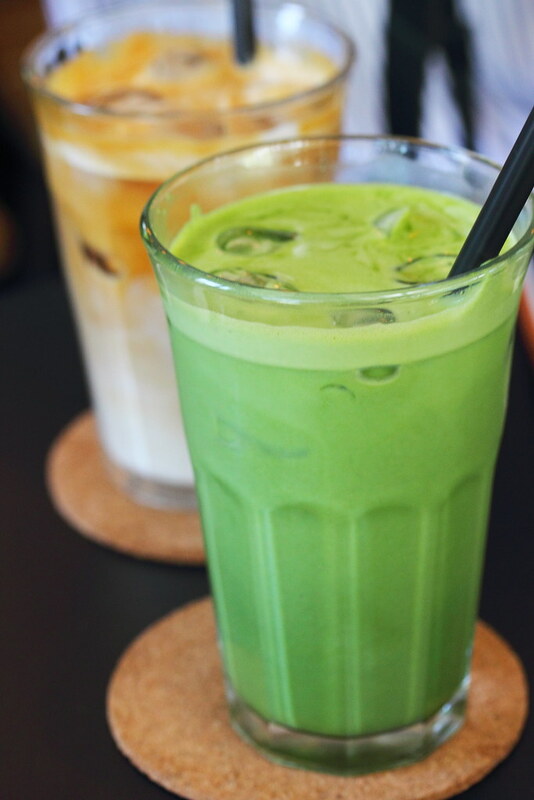 To cool ourselves from the afternoon heat, we ordered the Ice Matcha Latte ($5.50) and Ice White ($6). The perfect drinks to cool ourselves from the heat. 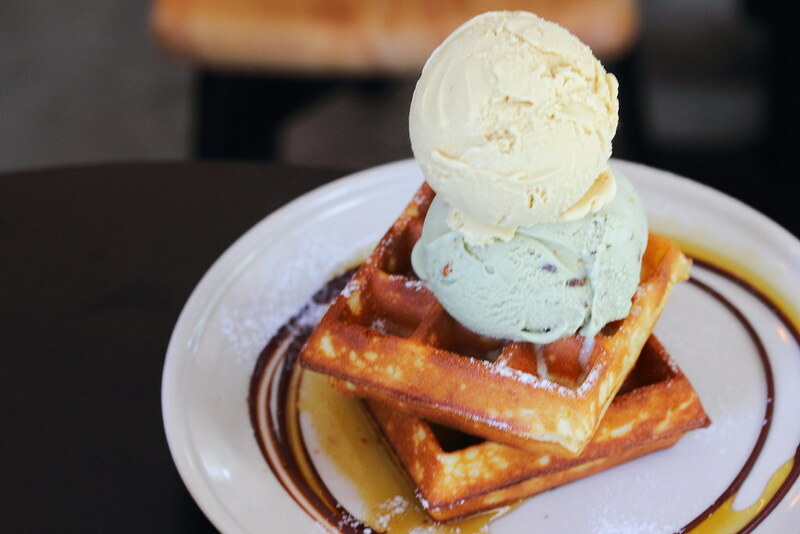 A must try at Creamier is their Waffle with Ice Cream ($8,80). Creamier is known for their ice cream so we ordered an addition scoop for $2.80 (add $0.90 for premium). The ice cream is creamy and smooth with beautiful flavours. The waffle was also crispy on the exterior and fluffy inside. Definitely one of the best waffle I have eaten. I have tried going to Creamier at Toa Payoh a few times but it is always very crowded. 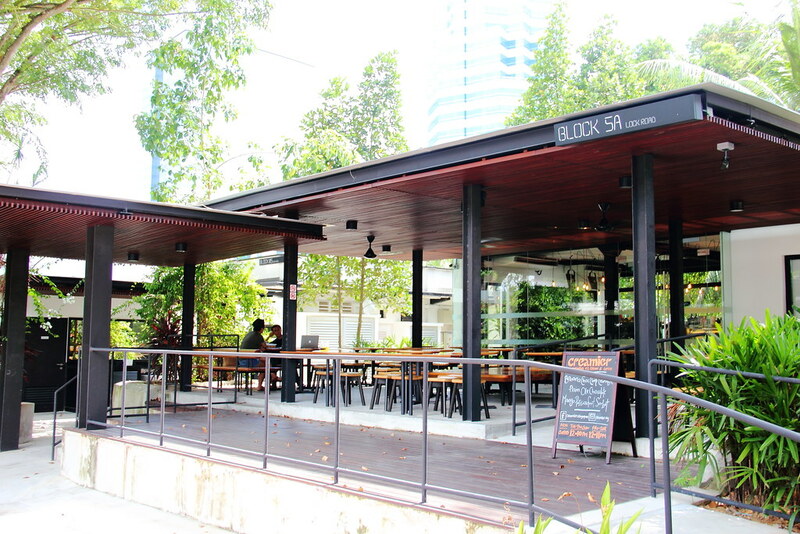 I have never gotten the chance to dine at the cafe in Toa Payoh. I am really glad that it has decided to open a second out which is nearer to where I stay and there are more seating space here. They certainly look delicious and i do love to make them.